In the U.S., patent protections generally stay in force for twenty years, but the date on which this protection begins may vary. Once a patent expires, the invention may be freely copied, so knowing how to calculate patent expiration can be a valuable skill. In order to calculate patent expiration, you will need to know what kind of patent is involved and when its protection began. Find out the type of patent involved and the patent number. If the patent is an original utility patent or a re-issued utility patent and its patent number is below 5,000,000, the patent has expired as of August 31, 2010. If it is a design patent, it expires 14 years from the date the patent was issued. Find the patent application's actual U.S. filing date. This may differ from the patent's "priority date" or the date the patent was filed in another country. The term of a patent begins on the patent's actual U.S. filing date, unless the patent incorporates a previously-filed patent. In this case, the patent's term begins on the actual filing date of the previously-filed patent. 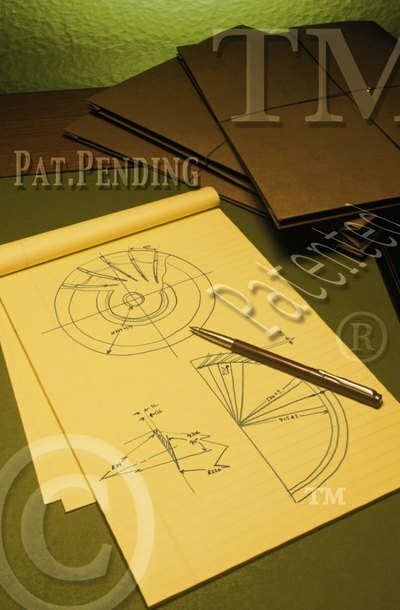 Use the patent's actual filing date to calculate the length of time the patent was or is in force. Utility patents and plant patents whose applications were filed on or after June 8, 1995 have a term of 20 years. Utility patents and plant patents whose applications were pending on June 8, 1995 or that were issued before June 8, 1995 have a term of either 20 years from the date the application was filed or 17 years from the date the patent was issued, whichever is longer. If a utility or plant patent was issued before June 7, 1978, it had a period of 17 years. All of these patents have expired as of 2011. Check for extensions. Some patents are extended by a few days or months if the U.S. Patent Office had a significant backlog when the patent's application was filed. Patents that have extensions will show an asterisk after the patent number on the first page of their patent filing. The length of the extension will be shown within the first few pages of the patent paperwork. Add this time to the length of the patent you calculated above. Can You Ever Lose a Patent? Patents provide legal protection for your unique ideas translated into inventions. This exclusive right to put an invention into the marketplace gives you the ability to earn money from the invention to the exclusion of others. However, patents do not last forever. The U.S. government, in addition to issuing patents, also puts restrictions on the length of their use. What Happens to a Patent When it Expires? A patent allows you, and only you, to profit from your genius when you invent something new. No one else can manufacture or sell your invention unless you give permission. However, this protection does not last forever. Depending on what you’ve invented, your patent will expire in either 14 or 20 years. When this occurs, anyone can copy your idea and market it. When a patent expires, the protection it offers ceases to exist. A patent is a right to exclude others from making, using or selling an invention of yours. To be eligible for patent protection, the invention must incorporate original technology that has never been publicly released before. The U.S. Patent and Trademark Office, or USPTO, reserves the right to invalidate a patent even after it is granted, if it discovers that the patented technology is not original or that information about it was publicly released before the patent application was filed. What Happens When Someone Tries to Use a Patent That Has Expired? How Long Is a Patent Valid?